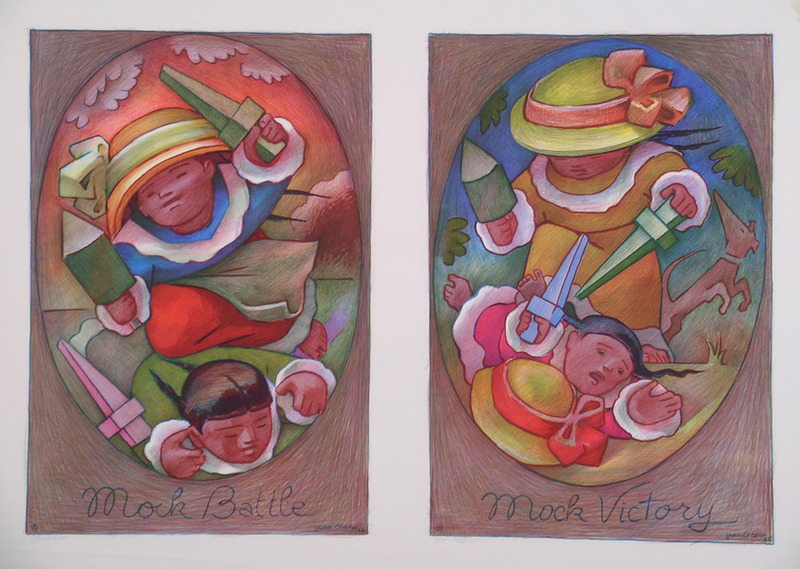 "Mock Battle & Mock Victory"
Condition:In very fine condition, with some minor toning in the unprinted area, the full uncut sheet as from the press. References: Recorded and illustrated in the Peter Morse catalog raisonne of Chalot's graphics, No. 576-577. Note: Rare proof sheet, uncut as initially printed.